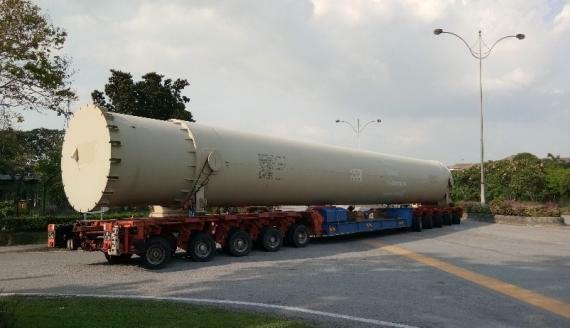 Malaysian members, Tera Projects & Shipping have delivered a huge ammonia converter basket. The shipment had a gross weight of 80,000tns and the cargo arrived at Westports in Port Klang from Genoa Port in Italy. 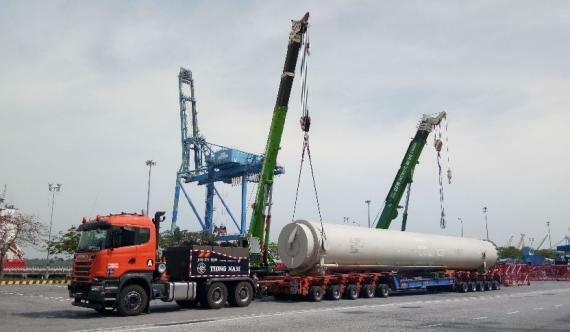 Tera collected the unit at the port and handled the delivery to the final destination in Gurun, Kedah, Malaysia. They utilised two shore cranes to lift and load the unit and supplied a vessel bridge trailer due to the OOG size and dimensions. 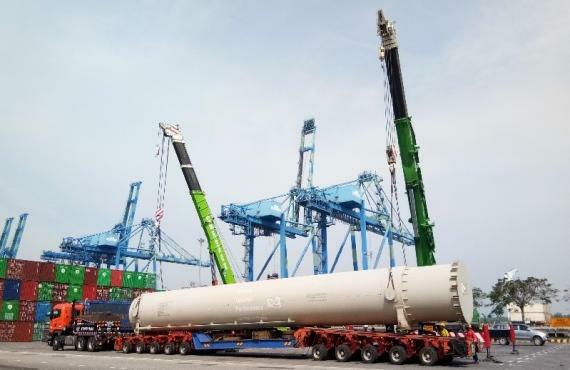 Brian Foong (Assistant Manager) comments; "As the unit was so oversized, we exited the port through a special gate with police and security escorts. 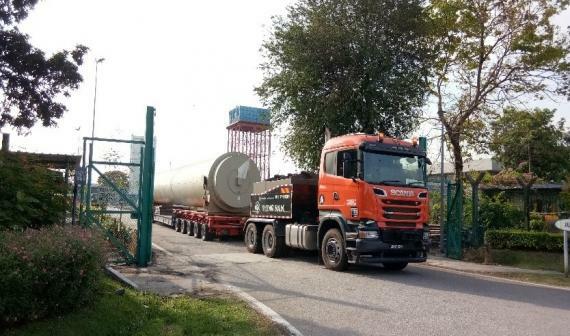 We experienced some difficulties during exiting as the road was very narrow, but our experienced driver managed to make skilled sharp turning without moving any obstacles or blocking the road for other vehicles." The Tera team successfully accomplished the oversized project cargo delivery to its destination safely and on schedule despite the challenges faced.